These animals are mentioned in I Kings, x. 22, and the parallel passage in II Chron. ix. 21, as having been brought, with gold, silver, ivory, and peacocks, by ships of Tarshish from Ophir (compare II Chron. viii. 18). The Hebrew name kof is a loan-word from the Tamil kapi, from which indeed the Teutonic ape is also a loan with the loss of the guttural, so that the Hebrew and the English words are identical. In Egyptian the form gôfë occurs. The Indian origin of the name has been used to identify Ophir with Abhira at the mouth of the Indus (see Vinson, "Revue de Philologie," iii.). The Assyrians, however, were acquainted with Apes, which were brought to them as tribute. Apes are not now and almost certainly never were either indigenous to Palestine or acclimatized there. 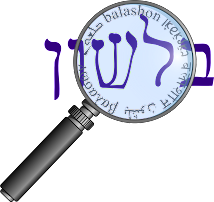 As far as the other explanations, they seem to be connected to the Hebrew roots קוף and נקף - meaning "to go around", and the origins of such words as tekufa תקופה - "revolution, season", and hakafa הקפה - "encircling, surrounding". As we've seen before, kuf can alternate with kaf, chet and gimel.